It’s been a while since the last newsletter, but we’re here to fill you in! 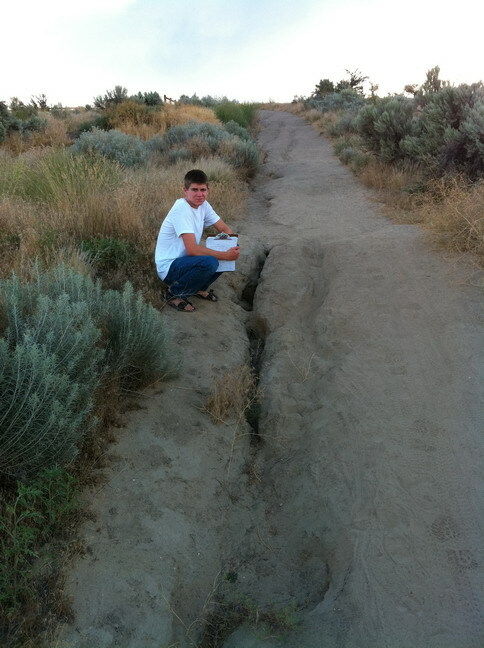 Sean’s project involved fixing a trail, which suffered heavy erosion caused by rain. They had lots of tools and machinery that helped them fix the trail and reshape it to protect from further erosion. 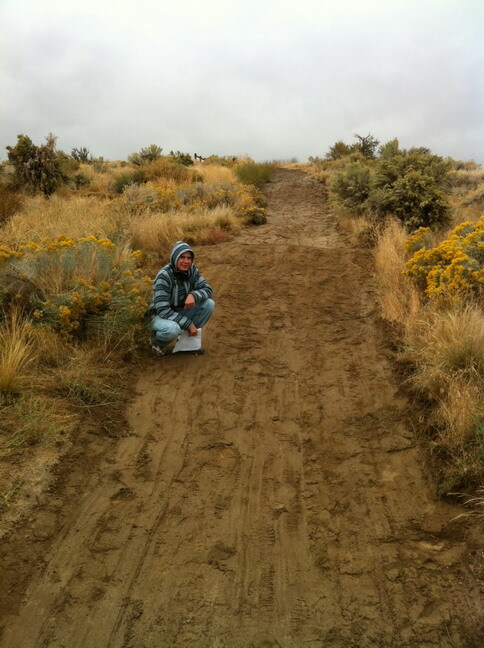 Over the course of 6 hours, Sean and his volunteers were able to make the trail much safer for all trail users. 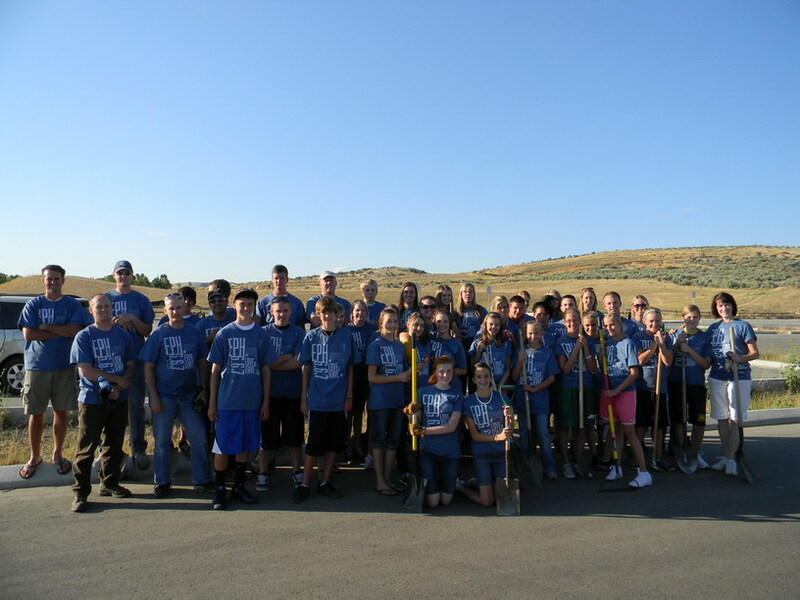 BAMBA coordinated with Ridges to Rivers to have one of their equipment operators complete the excavation work so the scouts could rake, shape, and pack the new water bars and repaired trail surface. 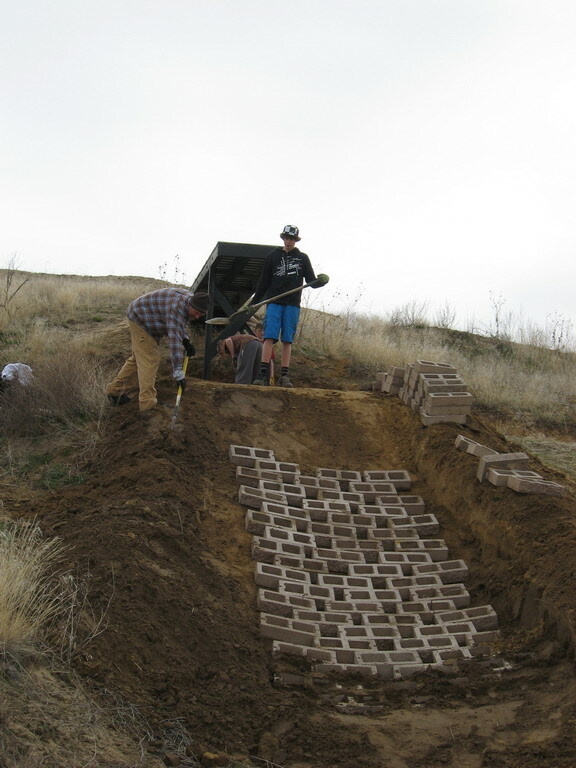 1) Placing cinder blocks on the landing of the top drop (jump) on the Storm’n Mormon trail. 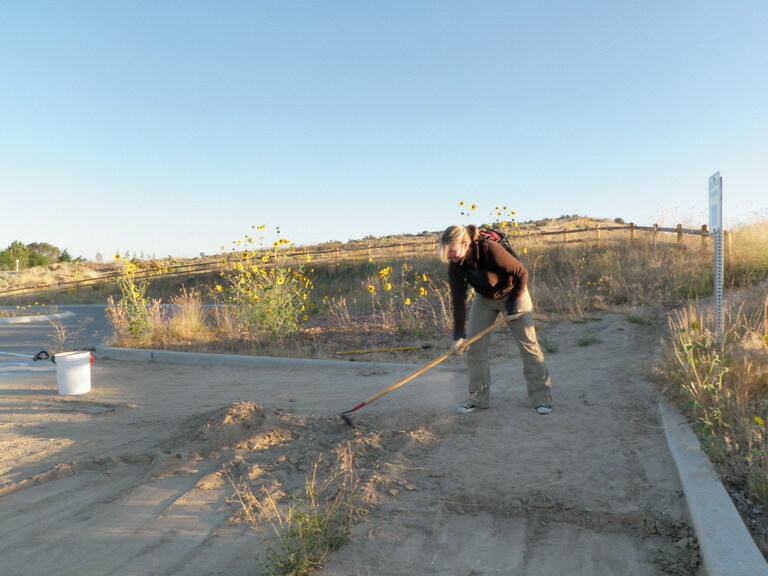 This included digging out the dirt to bury the blocks, then backfilling the blocks with dirt to stabilize the ground. This will keep the landing from eroding in the future. 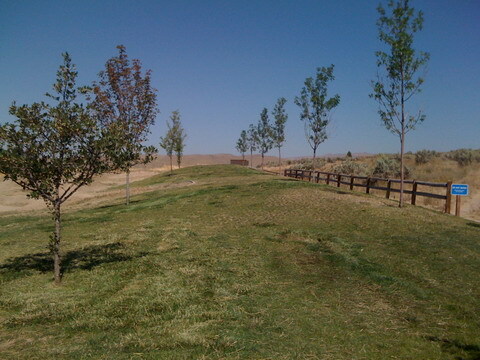 2) Installing fencing near the pump track that is eroding and creating a safety hazard. 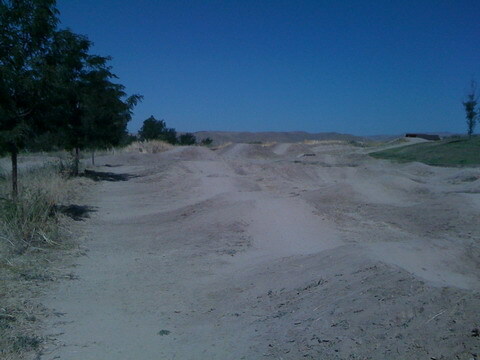 By installing fencing it forces riders to follow a designated return path from the expert jump line back up to the pump track. It also makes it so that riders can’t collide with one another. 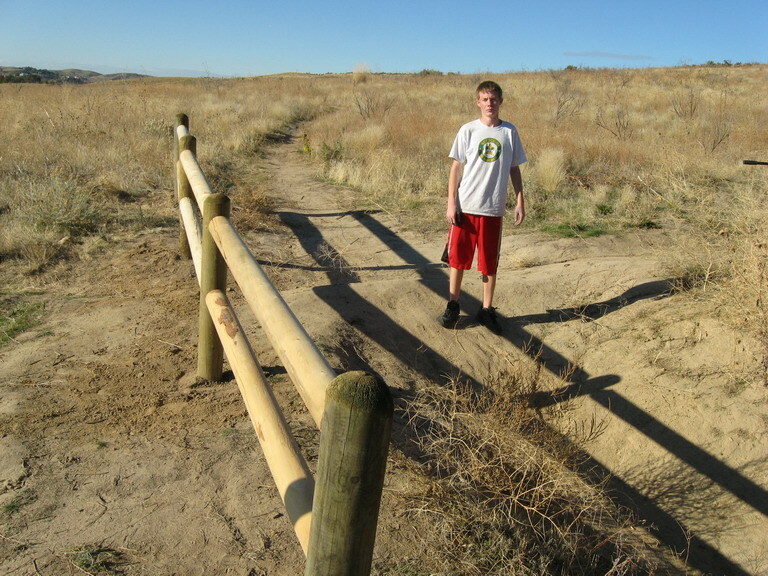 3) Braden also installed two short stretches of fencing on the third drop of the Storm’n Mormon trail and rerouted the optional side trail around this drop for those that don’t want to take it. This reroute was requested by an environmentalist group. 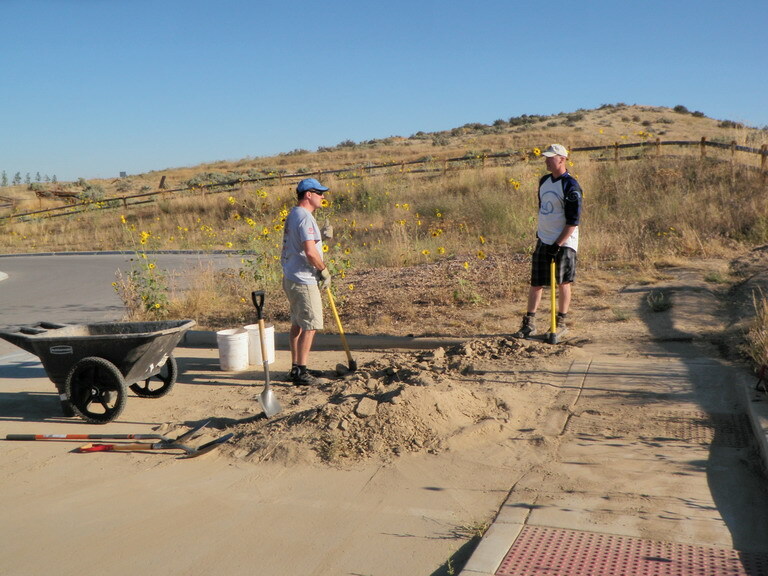 Austen Nelson also worked with BAMBA to complete some erosion control work on a freeride trail for his Eagle Scout project. 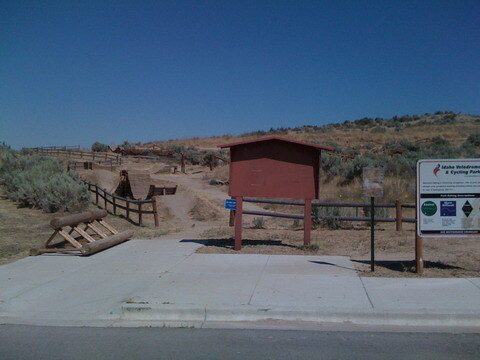 A large section of eroding trail was stabilized using cinder blocks including the landing for a drop and a steep eroding section of trail leading into a jump. The scouts who volunteered logged over 300 hours of service to complete the project which included hauling blocks across the hillside and installing them into the trail. 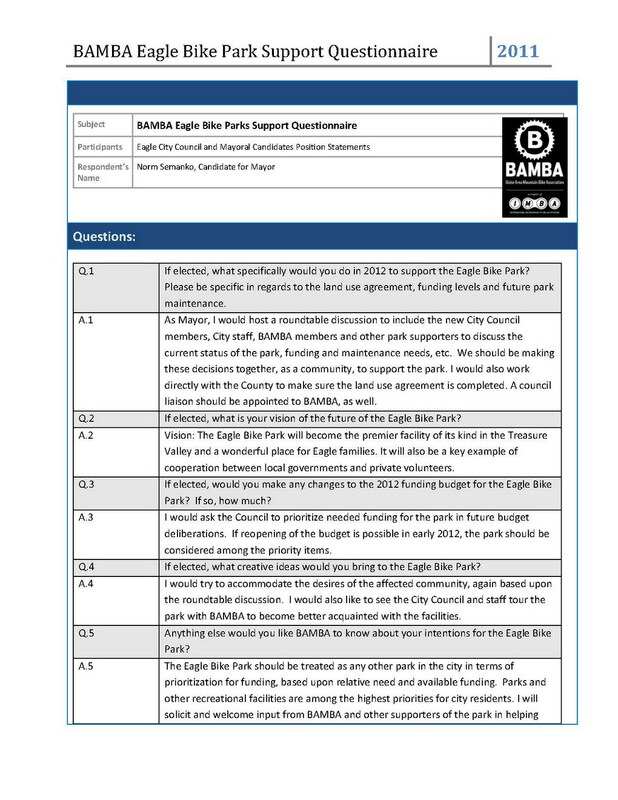 New Eagle City Council members ready to help bike park…. 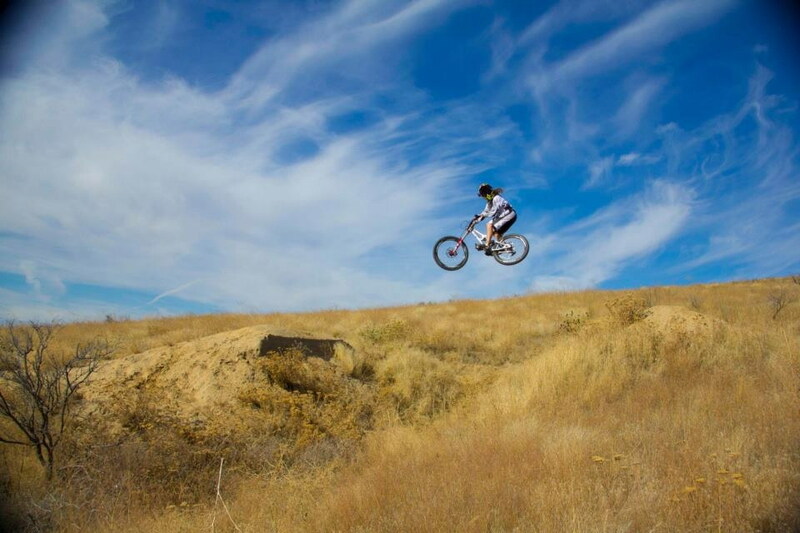 This story was submitted by a local rider… Click photo for a good read. Do you know that bike? 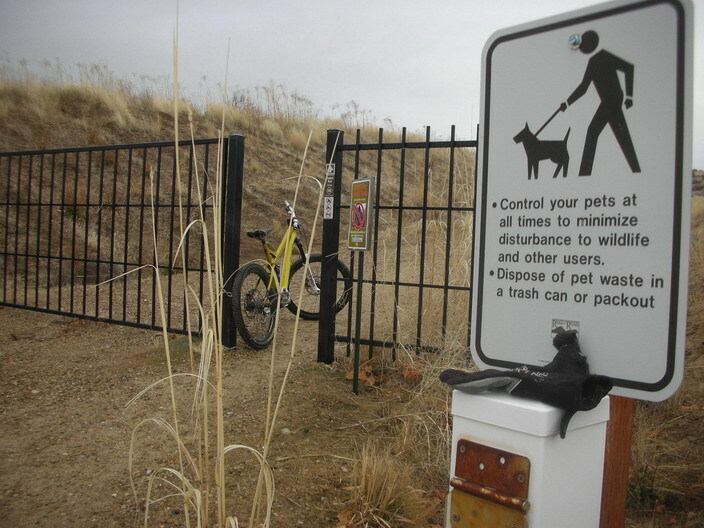 Friendly reminder to share the trail and be respectful to other trail users when you’re out there… Our reputation depends on you! 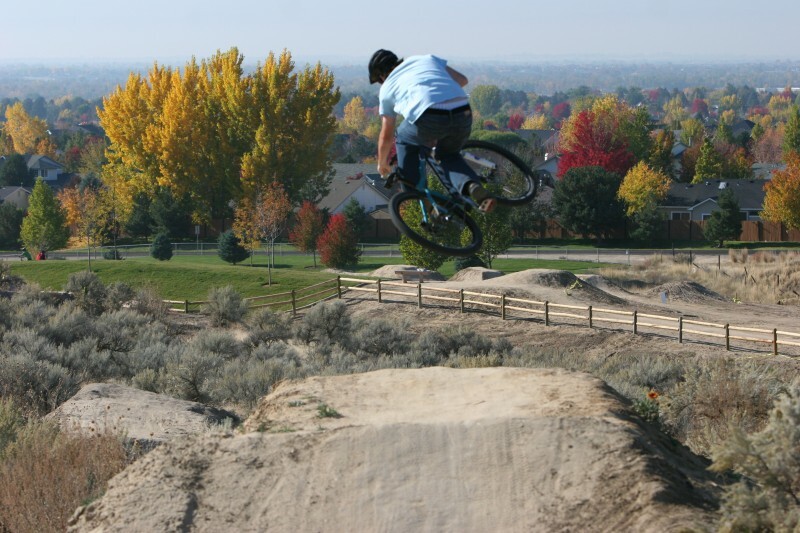 Weekly Tuesday and Saturday rides if trail conditions permit. 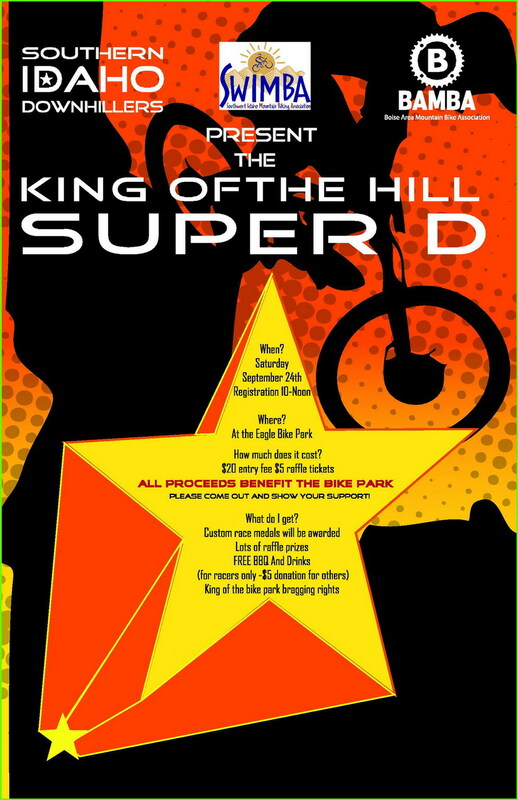 Come on out to the Park on September 24 2011 and get your Super D on! As the flyer states, this is a NO-One left behind ride. Depending on participation, we may have different speed groups. WHEN: Sunday May 22nd – 1PM to 3PM. WHERE: Eagle Bike Park – at the Eagle Sports Complex. 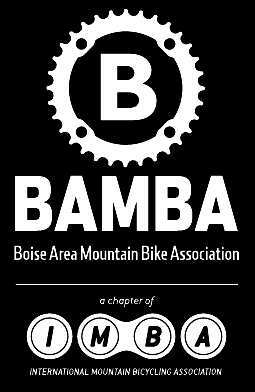 WHO: For the first 20 BAMBA members to sign up between the ages of 12 to 100 years old that would like to improve their skills and confidence on riding Downhill type terrain. 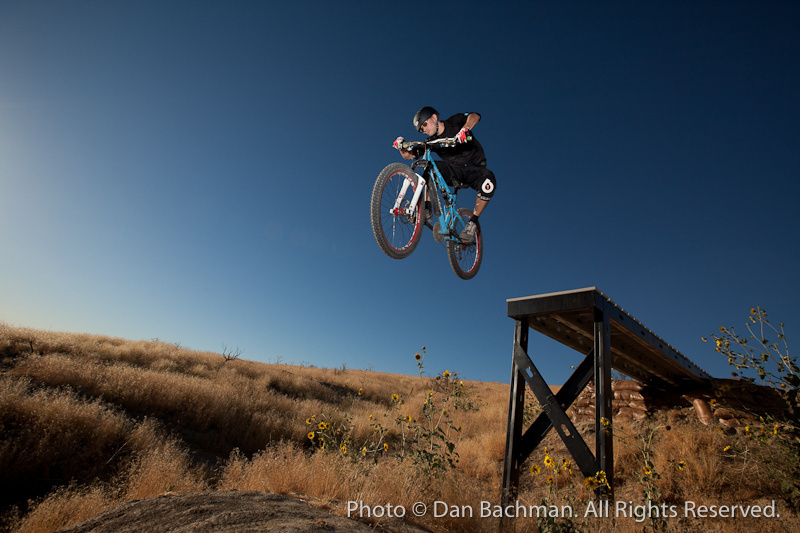 During this 2 hour clinic we will teach the basics of bike set-up, effective braking, cornering skills, rolling and pumping jump sections plus reading terrain better in order to make good line choices to assist you in being a faster and safer rider. 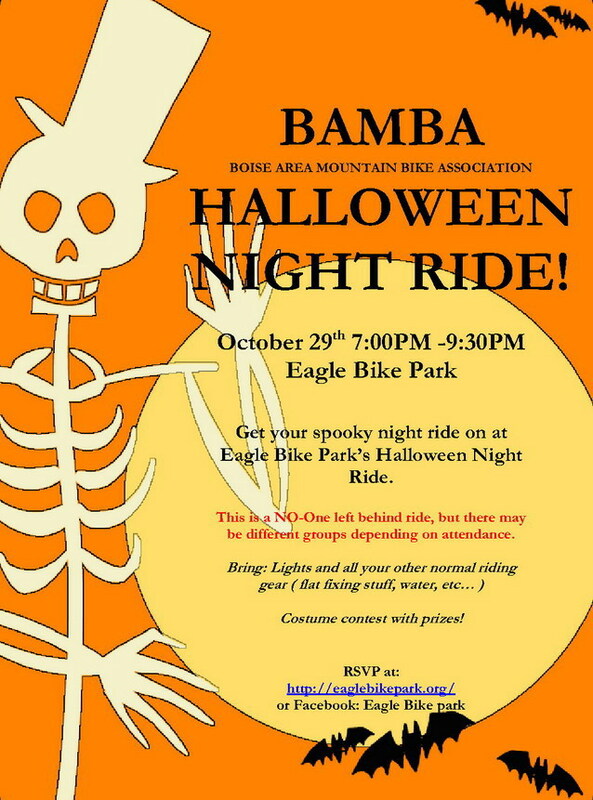 PLEASE BRING: Your bike, your helmet and a desire to improve your skills and have fun! Please email bafvolunteers@gmail.com to register. Include your name, age, and phone number. 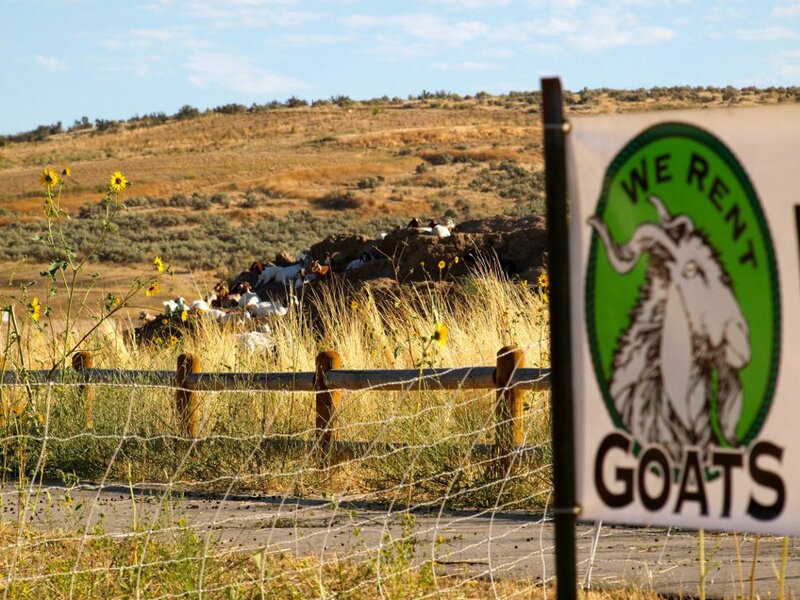 We’re all doing our part to make bicycling better in the U.S., whether it’s clearing brush from a local mountain bike trail or funding a new bike path in a community without one. 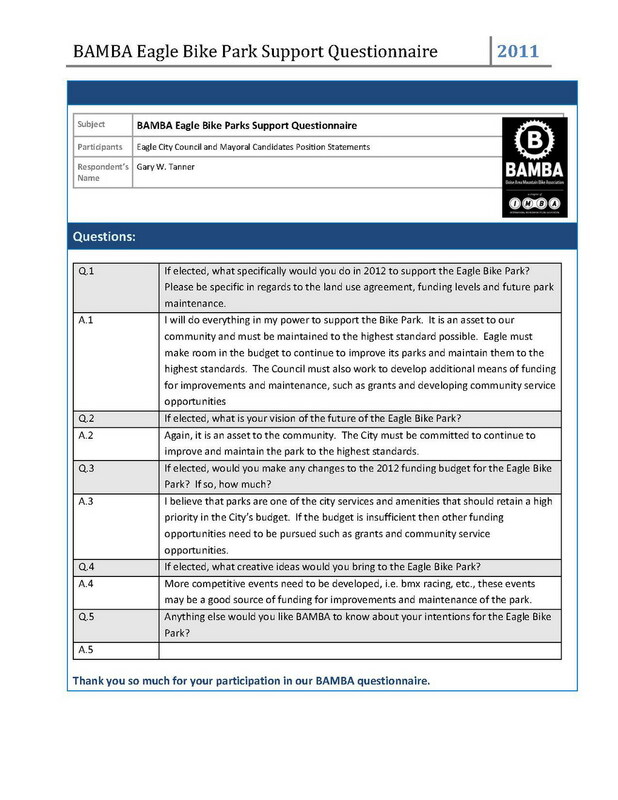 Bikes Belong shares your commitment to safe, accessible, well-maintained bicycle facilities, and we were delighted to help your organization with the Downhill trail phase of the Eagle Bike Park project in 2009. Now we’re asking for your help to spread the word about a campaign to promote better biking across the country. A new movement – spearheaded by the Bikes Belong Foundation – called Peopleforbikes.org is working to make the vision of great paths, lanes and trails a reality. We have created a simple pledge of support for better bicycling in America and we’re working to get one million people to sign it. The goal is to establish a unified, powerful voice for bicycling that will show our elected leaders and the public that bicycling is important and should be promoted. We at Bikes Belong encourage you to sign the pledge today and pass it along to your members, friends, and family to sign, too. It is quick, easy, and free, and it will help the future of bicycling. All we need is your name. 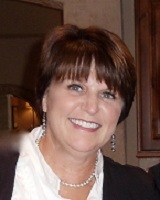 Here’s the link to sign the pledge. If you would like to include information on your organization’s webpage or in your newsletter, go to www.peopleforbikes.org/downloads for web banners and logos. Nearly 200,000 people have already signed the pledge, including Lance Armstrong, Gary Fisher, and bike-friendly Minneapolis Mayor R.T. Rybak. We all know that life is better when it’s experienced on two wheels. Now let’s take this message to millions of people coast to coast.